Katy Perry delivered more than a star-studded celebrity cameo for Hillary Clinton over the weekend — she came bearing gifts. The pop star, who sang “You’re Gonna Hear Us Roar to 2016” on Saturday at a Clinton campaign rally, gave Clinton a very presidential 68th birthday gift. 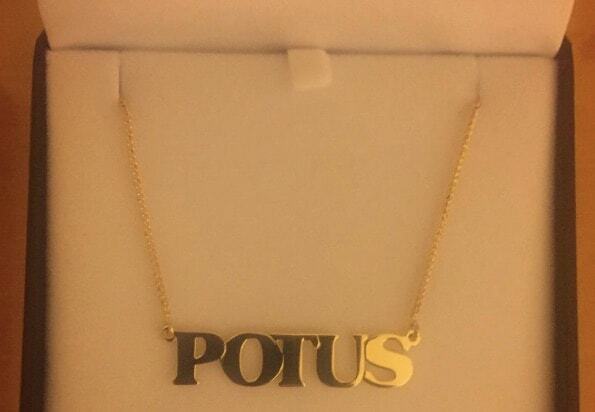 Perry delivered the Democratic frontrunner a nameplate necklace adorned with the letters P-O-T-U-S (pictured above).